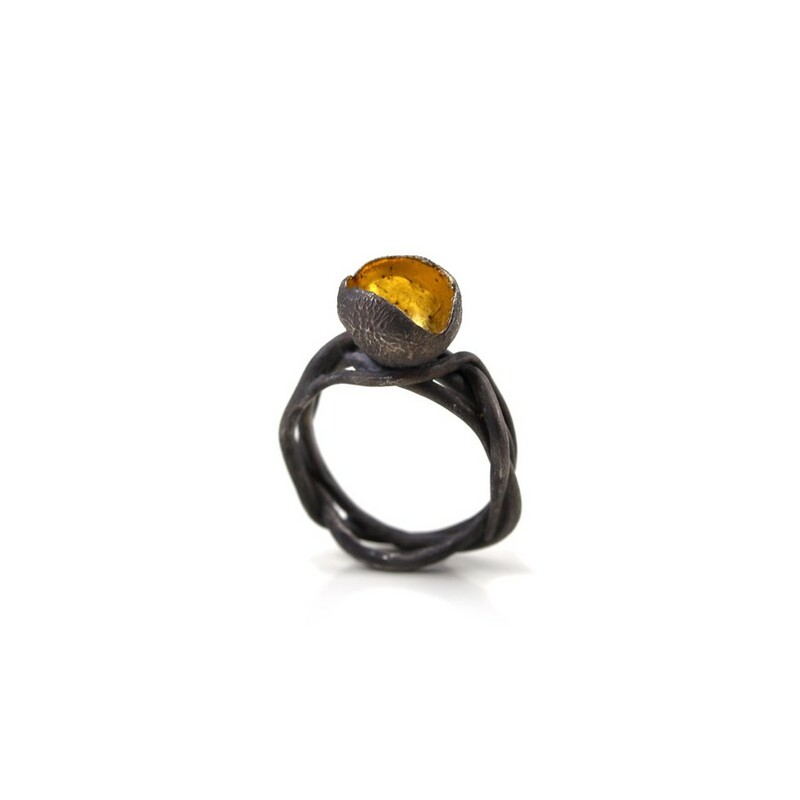 Margo Nelissen 16 - Ring - Unique Piece - Ring with chalice black on lianas, made of oxidized silver, gold leaf. 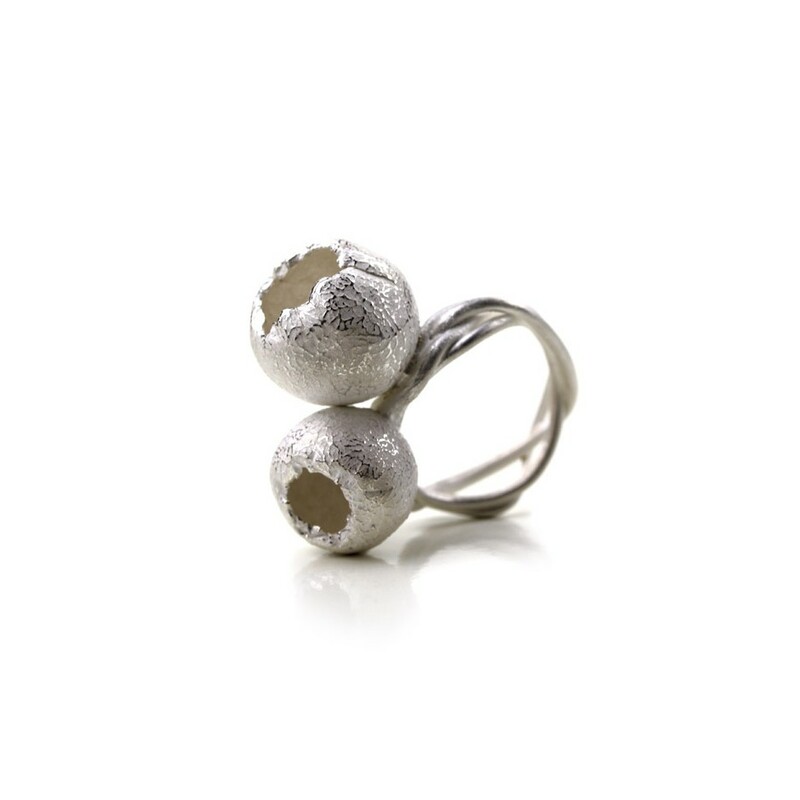 Margo Nelissen 20 - Ring - Unique piece - Ring with the form of a double spherical white seed made of silver. 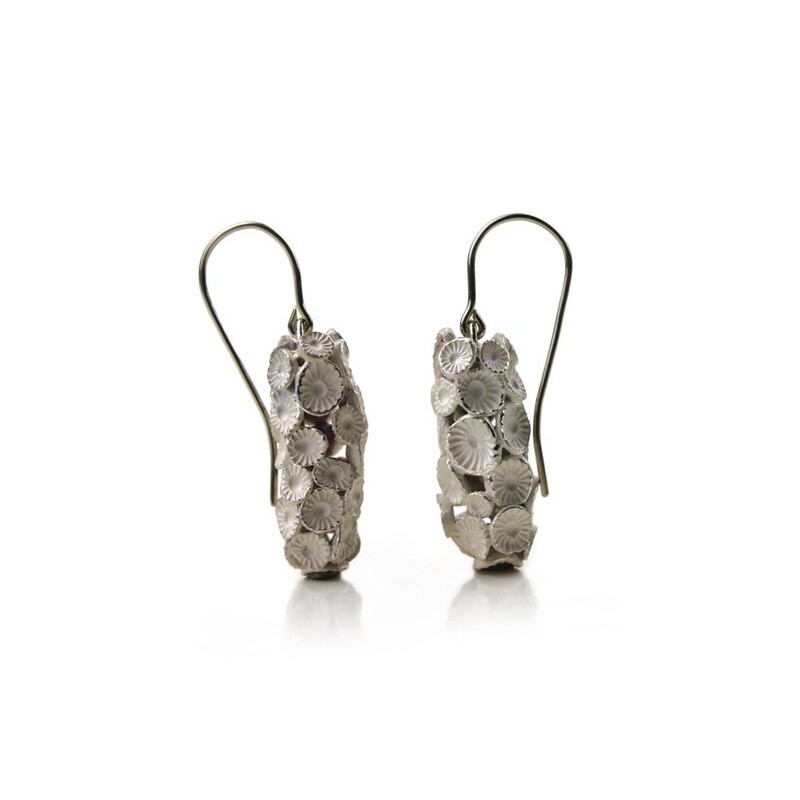 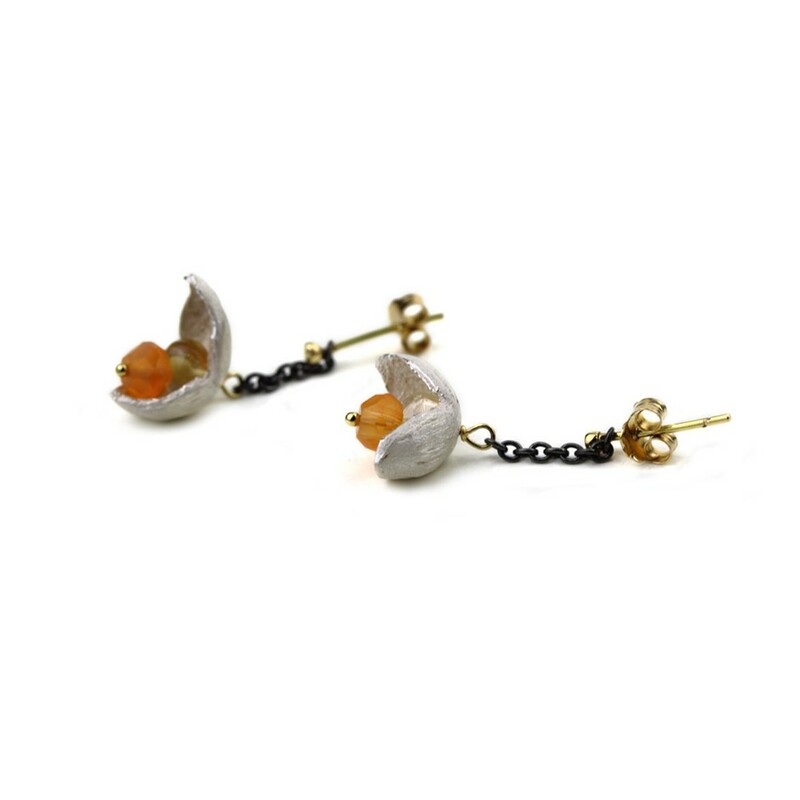 Margo Nelissen 22 - Earrings - Limited edition - Calabash flowerings 'Orange' - Elegant earrings made of oxidized silver, silver, gold and carnelian. 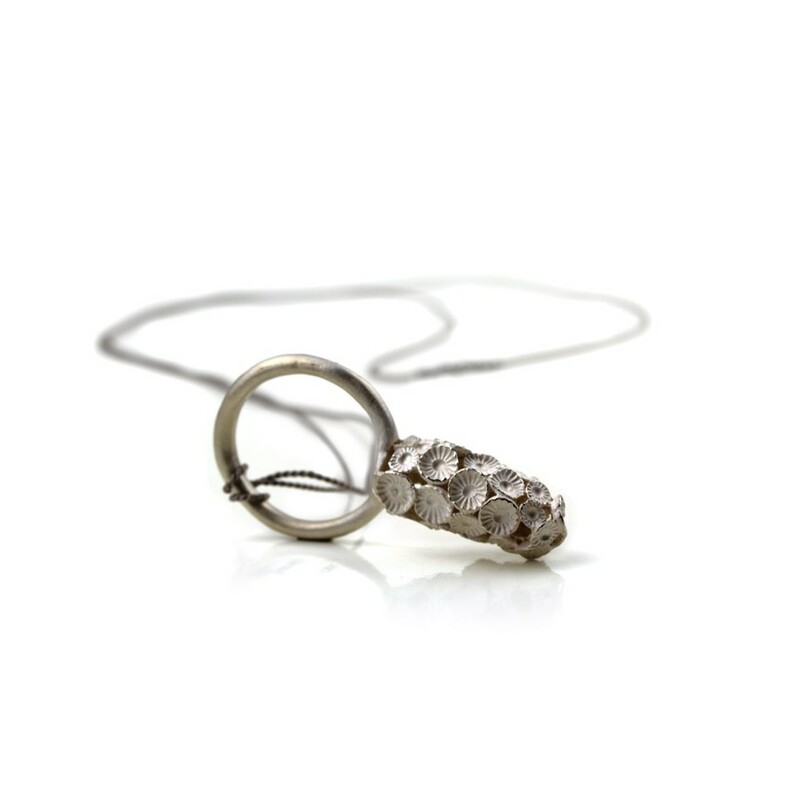 Margo Nelissen 26 - Necklace / Ring - Unique piece - Coral flowerings long - Elegant pendant that can also be worn as a ring, made of silver and gray silk thread. 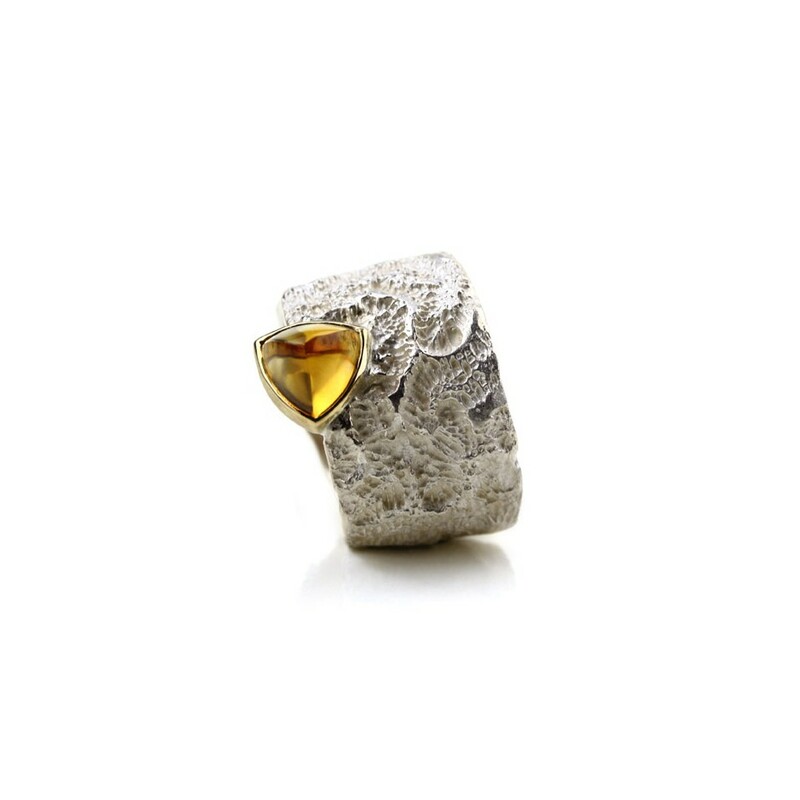 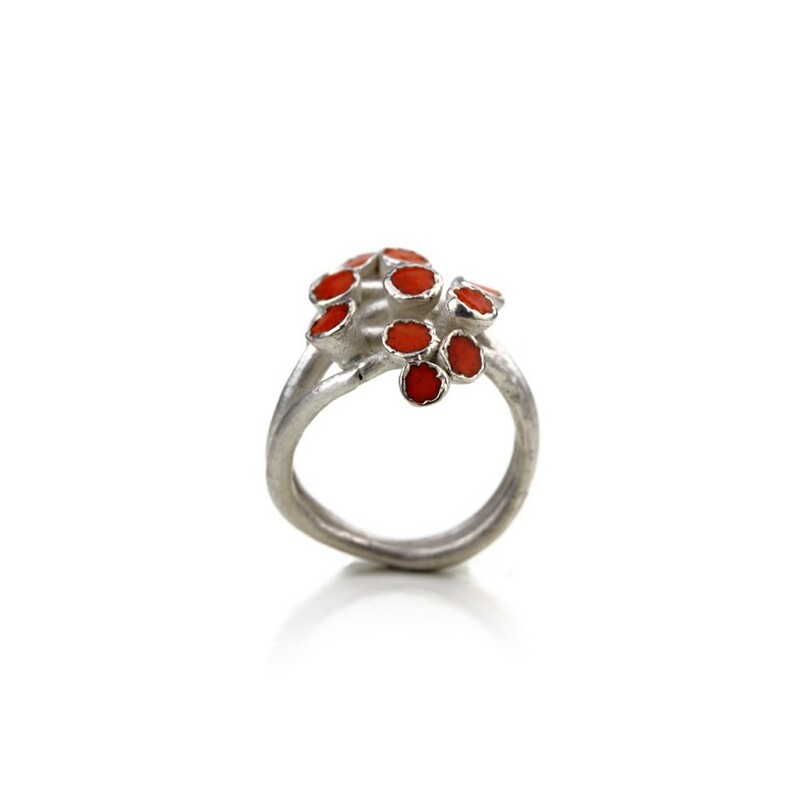 Margo Nelissen 04 - Ring - Unique Piece - Orange - Handmade ring made of silver and enamel. 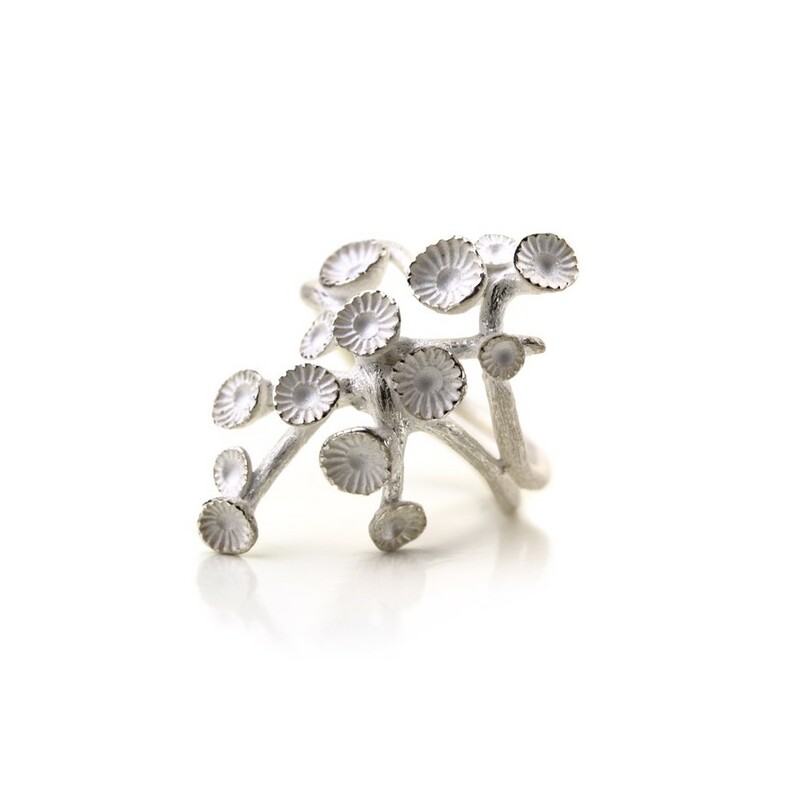 Margo Nelissen 06 - Ring - Unique Piece - Feminine handmade floral ring made of silver. 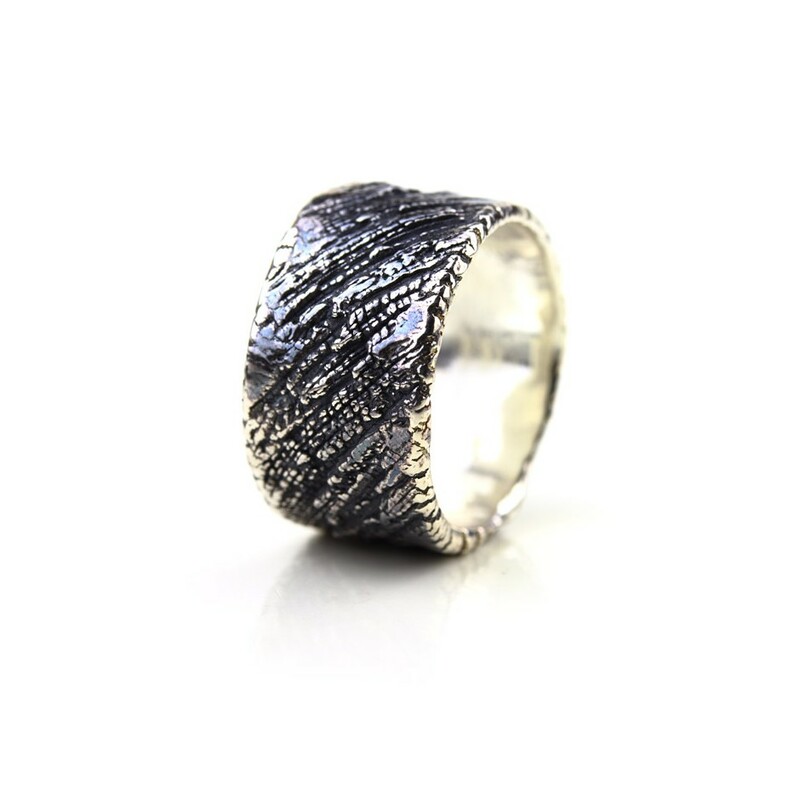 Margo Nelissen 10 - Ring - Unique Piece - Koraal tekens Japans - Handmade flat band made of oxidized silver. 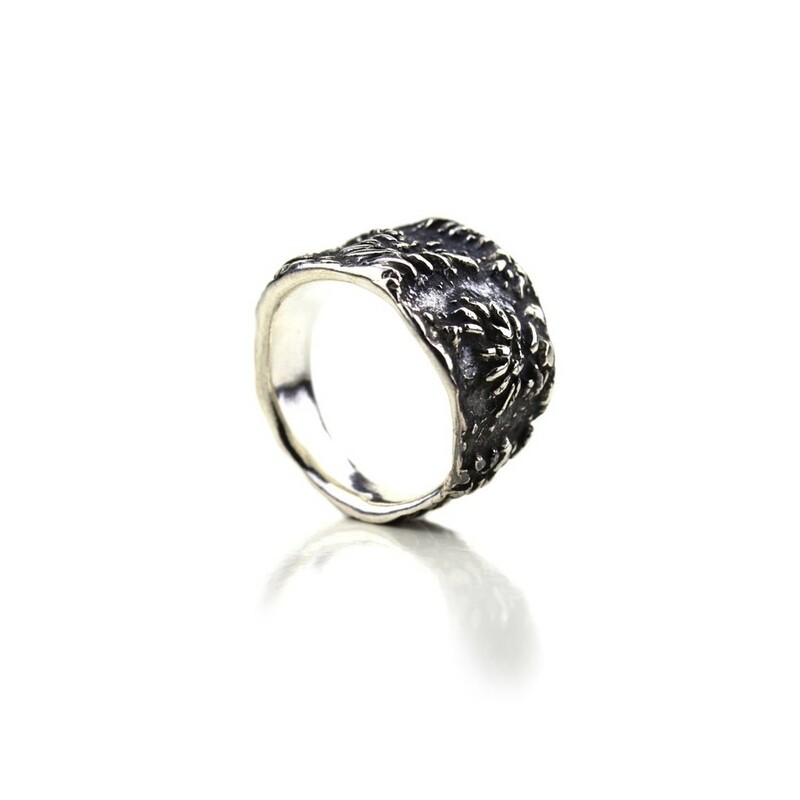 Margo Nelissen 11 - Ring - Unique Piece - Kleine koraalrondjes - Handmade band made of silver and oxidized silver. 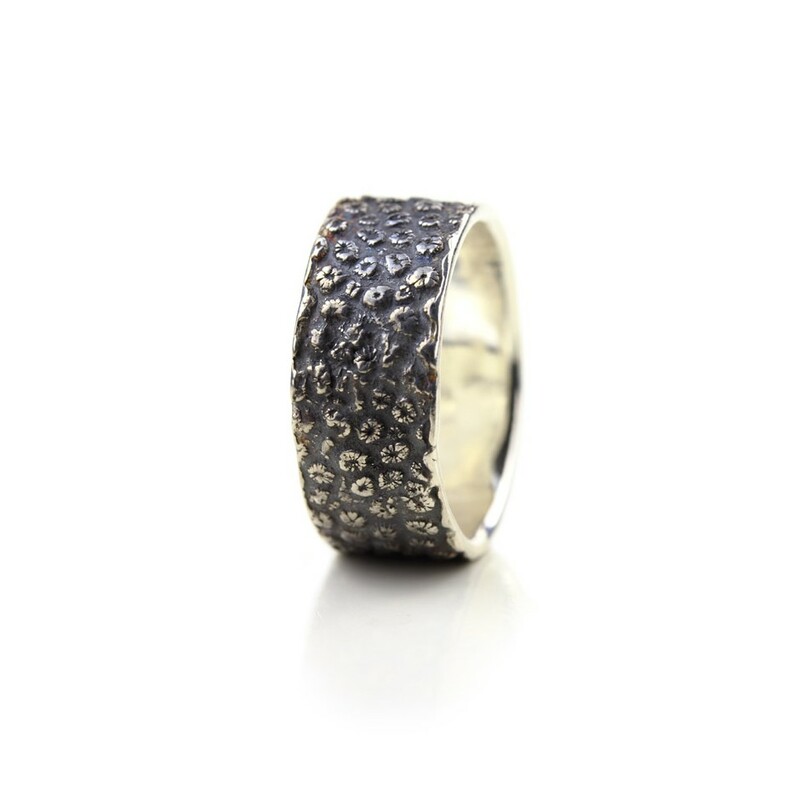 Margo Nelissen 12 - Ring - Unique Piece - schuine boombastkoraal - Handmade textured band made of oxidized silver. 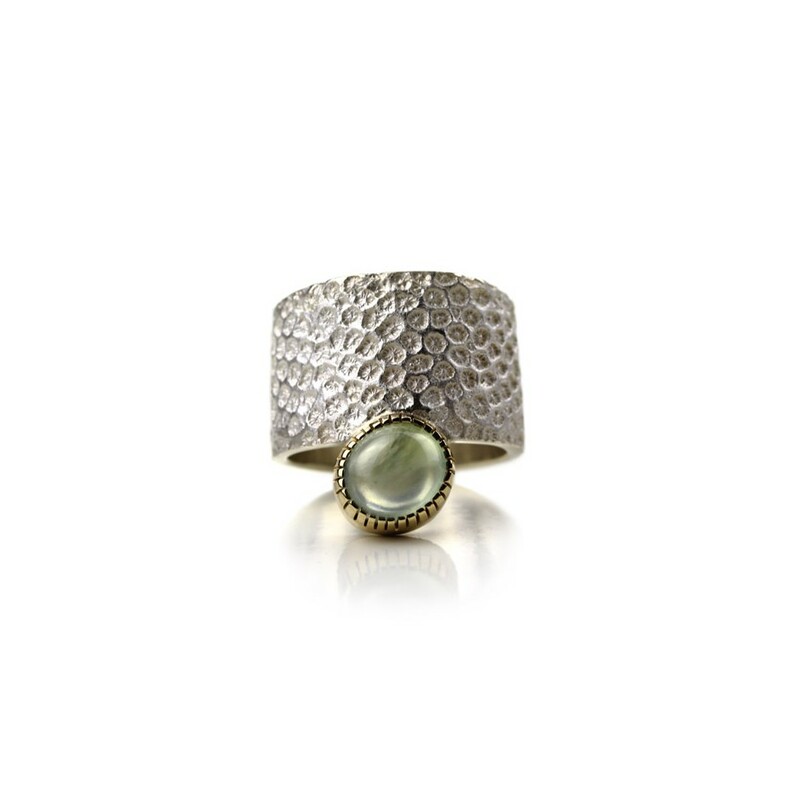 Margo Nelissen 17 - Ring - Unique piece - Curacao Memories - Beautiful band ring made of silver, gold and prehnite cabochon.